MANUSCRIPT: Ancient Torah scroll sheet preserved for public display. A Rutgers professor played a vital role in its acquisition (Alexandra DeMatos, Philadelphia Inquirer). The Library of Congress recently got its hands on a Torah scroll sheet that dates to the 10th or 11th century, the earliest known legible version of the “Song of the Sea” and an invaluable find — and a Rutgers University professor played a vital role in its acquisition. This article gives some of the back story of the acquisition of this manuscript by the Library of Congress, including the contribution of Professor Gary Rendsburg. 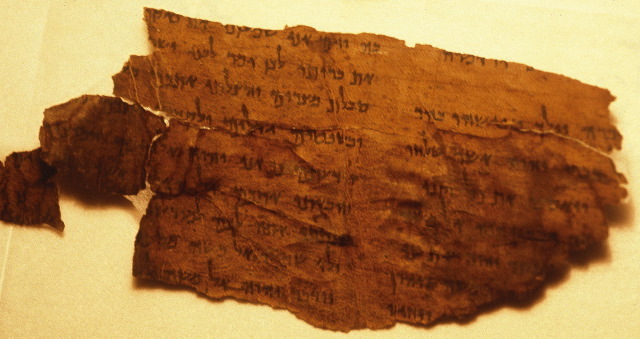 There is an older (post-Dead Sea Scrolls) Torah fragment that includes the Song of the Sea: the Ashkar/London manuscript from the 7th/8th century CE. It is illegible to the naked eye, although technology has recovered its text. Background on both manuscripts is here and here and links. UPDATE: doubled final link now corrected!